At Radiant Smiles @ Floral Vale, our patients agree with no doubt that these are the key reasons they love our office and choose to continue to receive quality dental care they deserve. We can’t thank enough our existing patients for their faith in our office and referring their friends & family members to us. From the moment you walk in to our reception area, you will find a friendly and accommodating staff ready to serve you and answer any question you may have. 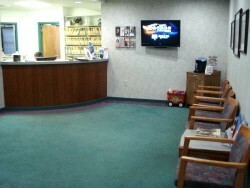 We provide a comforting atmosphere to make sure our patients feel at home.